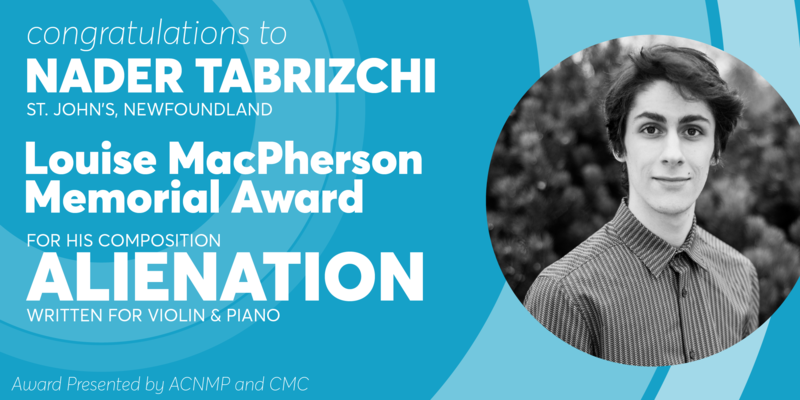 Congratulations to Nader Tabrizchi of St. John’s, FLD! 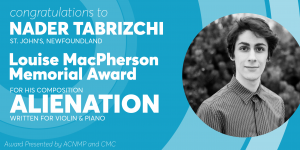 Nader is the winner of this year’s Louise MacPherson Memorial Award for his composition ‘Alienation for violin and piano’ submitted to the National Student Composition Class. Thank-you to our 2018 National Award Judges!